"I strive to express the spiritual nature of the universe. Painting is for me a dynamic balance and wholeness of life; it is mysterious and transcendent, yet solid and real." Finding inspiration in Oceanic, Northwest Indian and African Art, Richard Pousette-Dart took refuge in the archetypal and elaborated in his many notebooks on the universal signifiers in his own work, "circle of spirit, square of matter, circle of G-d, square of man" (K. Hubner, "Richard Pousette-Dart's Early Work and its Origins" in Richard Pousette-Dart, exh. cat., The Solomon R. Guggenheim Foundation, New York, 2007, p. 19). 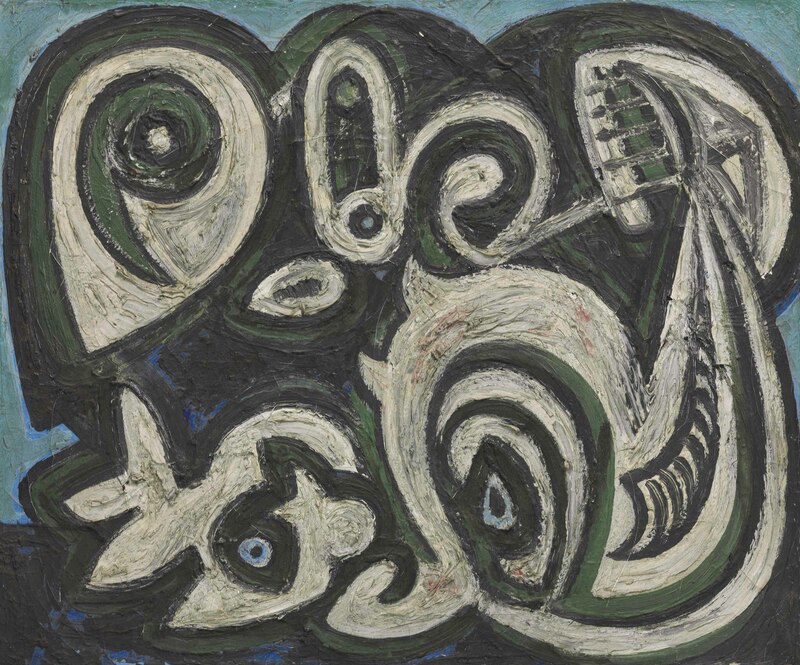 Pousette-Dart incorporated this self-prescribed symbolism into his work while concurrently applying his paints to the canvas in an urgent manner that paid respect to the composition in its entirety. It is with a keen interest in Eastern philosophy, the teachings of Taoism and Buddhism that Pousette-Dart approached his most critical works. The philosopher Henri Bergson, an early influence on Pousette-Dart, provided a literary model for the artist in his promotion of '" the creative role of intuition and it's primacy over analytical thinking. "'(Ibid., p. 18).